One day at work we were having a pot luck, and I promised I'd bring in a dessert. I didn't want to make the usual cookies or brownies, so I searched allrecipes.com for something new and different that nobody has probably had before. 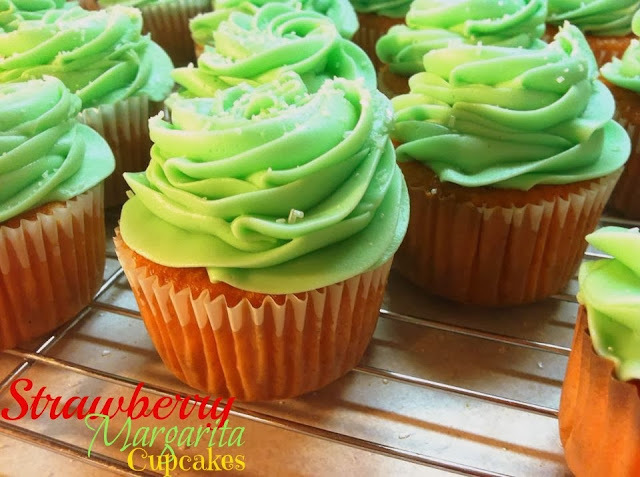 I remember one day at a previous job someone had made a margarita cake, and I wanted to try it, but in cupcake form. So after some searching and some fiddling with the recipes to mold it into something that I thought would be a great recipe. And a hit it was! 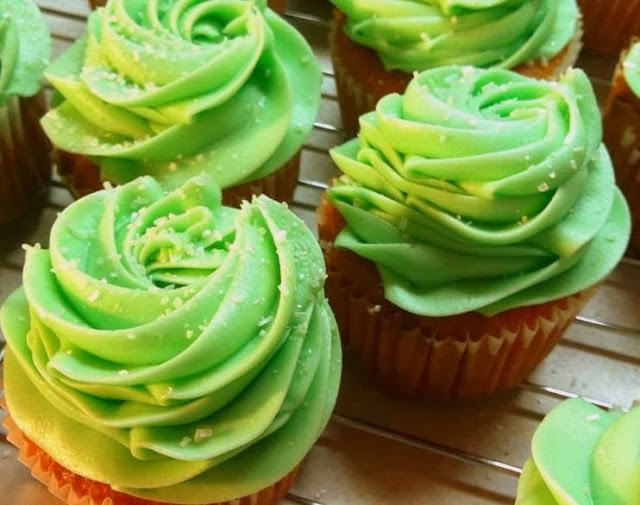 This is the cupcake that everyone complimented me on and asked if I would sell them...and that really pushed me into selling my cupcakes and now cakes, cookies and other treats. Combine cake mix, eggs, sour cream, oil and water until well incorporated and a few lumps remain. Add the margarita mix and combine until mixture becomes smooth. I use a 1/4 cup measuring cup to spoon batter into cupcake liners. Bake for 13-15 minutes or until toothpick inserted in center of a cupcake comes out clean. Remove from pans to cooling rack quickly. Makes 24-30 delicious pink cupcakes. Add lime juice and food coloring. Beat in confectioner's sugar until frosting is creamy and holds a stiff peak.